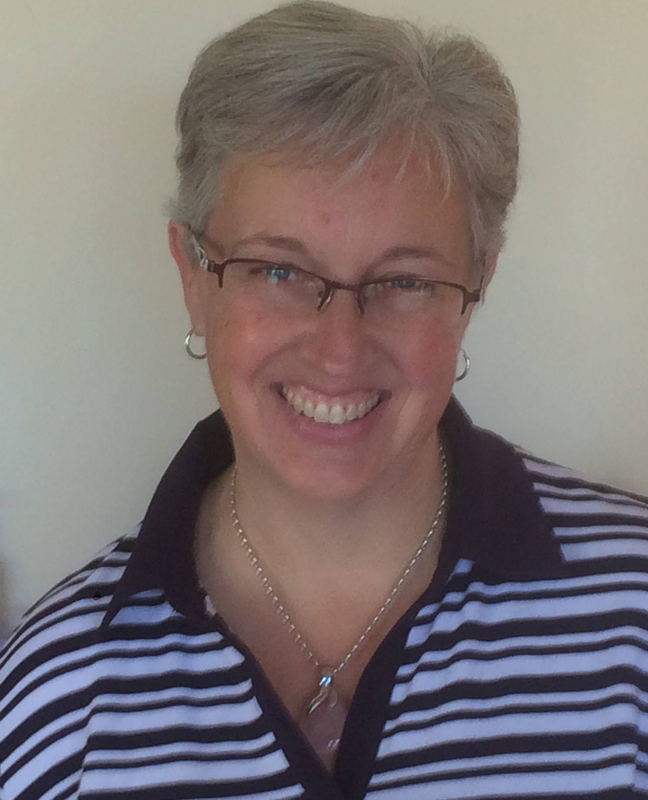 Yes I have been away, having a lovely holiday with my beautiful family in Darling Harbour, Sydney. We did have lots of fun at the aquarium, Sydney tower and heaps of other things to do and see in the area. And although it is lovely to be home, I have to admit that now it is quite difficult to get back into the routine of everyday life. Firstly, today is your last chance to make the most of those fantastic deals on Rhinestone brads and ribbon. The rhinestone brads are such a great way to add a little extra bling to your cards and scrapbook pages, and at that price you can get some in each shape and colour. 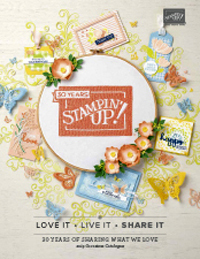 Also, due to the recent announcement from Stampin’ Up! about their colour renovation, some items are starting to run low. At this particular time there is very little Close to Cocoa cardstock left, so if you like this colour you need to contact me asap to place your order. There will not be re-runs of colours now, so once they run out they will no longer be available. So if you have a favourite colour that is retiring, don’t leave it too late, better to place your order early to make sure you can get it before it runs out. And so to a card! I have been doing some watercolouring recently and this was one of my experiments which I was quite pleased with. 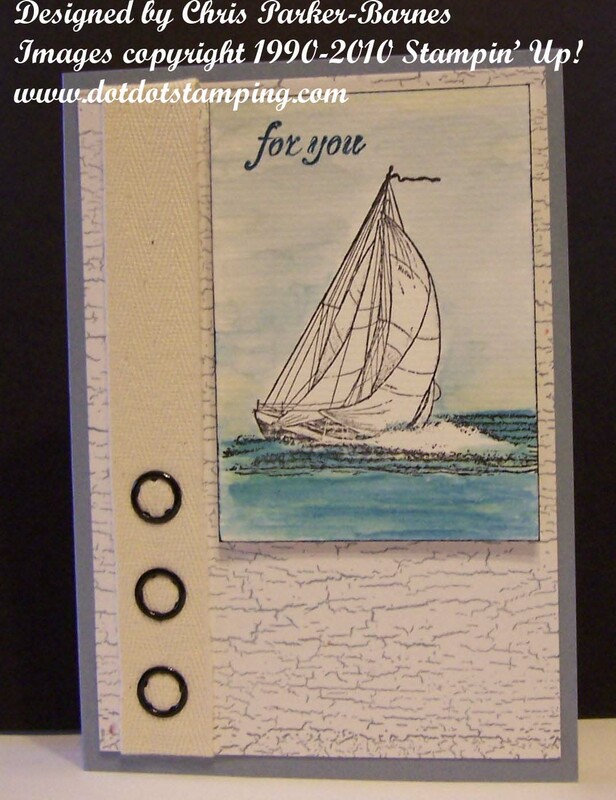 Stamp Sets: Seaworthy, Fresh Cuts (greeting), Weathered Background. Cardstock: Bordering Blue, Confetti White, Watercolour Paper. Inks: Black Stazon, Bordering Blue, Not Quite Navy, Kiwi Kiss, So Saffron. Accessories: Aqua Painter, Twill Tape, Small Grommets (retired). 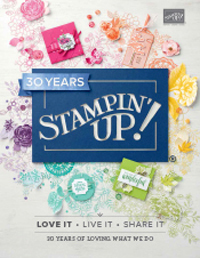 And stay tuned for a new promotion from Stampin’ Up! for July, with more great deals.